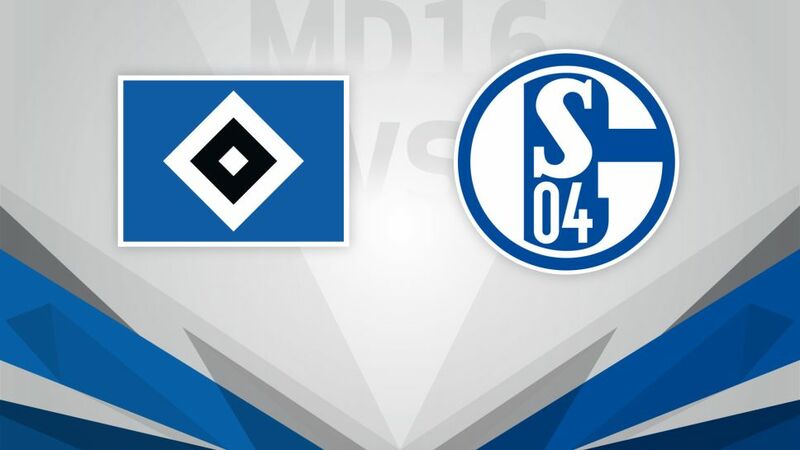 Two sides disappointed with how they've started this campaign, Hamburger SV and FC Schalke 04 will be determined end 2016 on a high when they meet at the Volksparkstadion on Tuesday (kick-off 20:00CET/19:00GMT). Have you got your Official Fantasy Bundesliga team ready for Matchday 16? If not, click here! Following a winless opening 12 games, Hamburg’s season appeared to be ready to take off with eight points from four games. However, their four-match unbeaten run came to an end last time out against 1. FSV Mainz 05. With results elsewhere going against them on Matchday 15, the Red Shorts once again find themselves in the automatic relegation places and will be desperate for a win in the final game of 2016 to avoid sitting in the danger zone over the winter break for the first time in ten years. Sitting in the bottom half of the table, Schalke will not be pleased with how the first half of their season has gone. The Royal Blues are currently without a win in their last three Bundesliga games, but they will be hopeful of ending 2016 on a high as they face HSV, against whom Schalke have an impressive recent record with just one defeat in the last seven meetings. A place in the top half of the table during the winter break is within reach for Die Knappen, if results go their way.